"Hope Cries For Justice" combines music, words and dance to create a dialogue between participating artists and audiences that opens the mind to envisioning our role in the world as creative beings that can make a difference. By embracing creativity we find our strength and can reclaim hope in a difficult time. The Hope Cries for Justice Tour consists of material from their just recorded CD by the same title: Hope Cries for Justice with dance and live art projections. In addition to the performance, they are offering in response to all of the dangerous divisiveness in our world today, they are offering to host an open forum in search of a common understanding, based on our shared humanity. They will talk about spirit, survival, family, and race. The survival of our country is at stake. 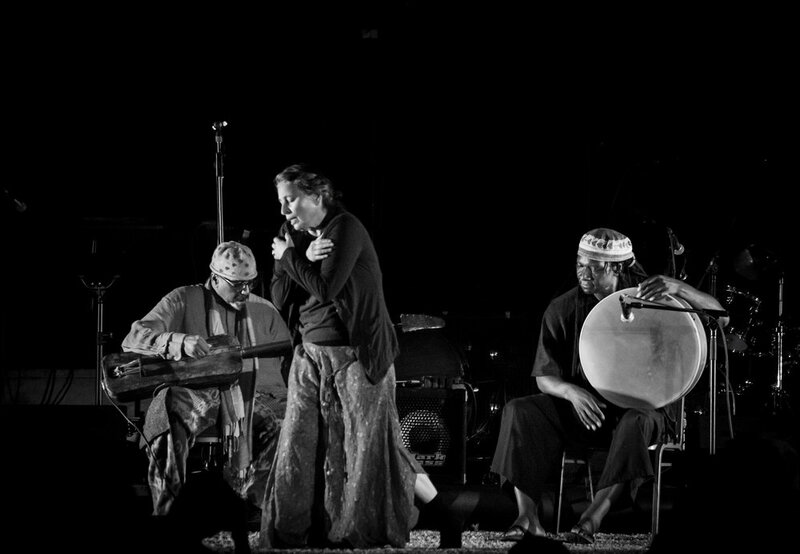 William Parker and Patricia Nicholson make music, dance, poetry, in order to uplift encourage and inspire the listener to be their best self, to get in touch with their imagination so that together we can imagine a better way in this world and then begin to manifest this way. The ultimate goal of art is for all who listen to it be filled with compassion.